What is the state of the existing surface? Does the concrete have a lot of cracks or pitting? Is the surface out of level? 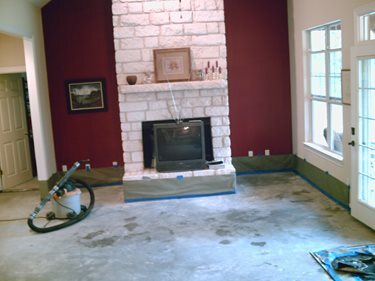 If so, choose a higher-build material, such as an underlayment or self-leveling overlay, that can be applied at a thickness of 1/4 inch or greater. What conditions will the overlay be exposed to? Be sure the overlay system is tough enough to withstand all the conditions it will confront. Is the slab outdoors and subject to weather extremes and freezing and thawing? Is it a floor surface in a high-traffic area or subject to chemical, grease and oil spills? Not all overlays are designed for exterior use, and some systems are better suited than others for harsher exposure conditions. Ask the overlay manufacturer or installer to confirm that the material you plan to use will work for your purposes. What is the installed cost? The average cost of an overlay ranges from about $3 to $7 per square foot, depending on the type of system installed. 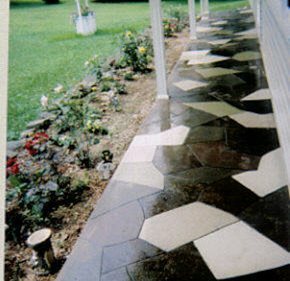 However, the total cost can run considerably higher if you choose elaborate decorative treatments to pattern the surface or use more than one coloring method (such as integral color accented by stains or dyes). Be sure to ask the installer how much these decorative options will boost the final price tag. 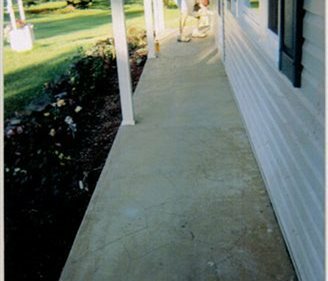 Of course, the main reason to use an overlay system is to restore and beautify existing concrete. Determine the color, pattern and texture you want for your rejuvenated surface and then find a system that can achieve the look you desire. Consult with the overlay manufacturer and your installer for advice. Ask to see samples of various finishes and color selections as well as a portfolio of completed projects. 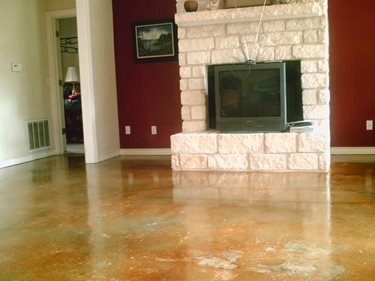 Most decorative overlays, when coated with a protective sealer, are very resistant to stains, dirt and grease. Still, they will need occasional cleaning to look their best. Ask to have all cleaning and maintenance procedures and life-time performance expectations put down in writing before committing to a particular care regimen.